Other days & times available by appointment. If you’ve walked through any old cemetery, no doubt you’ve seen rows of the old marble slabs that are now illegible. 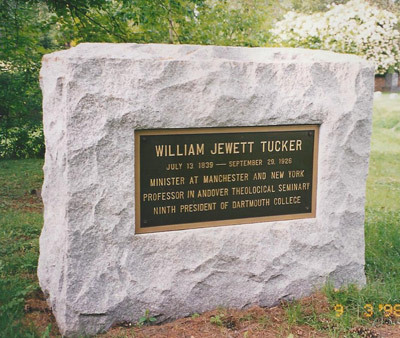 Most 19th and early 20th century memorials were made of softer marble. Vermont was one of the foremost producers of marble in the country for monuments and architecture. Sadly, marble doesn’t withstand the elements and over time most have deteriorated to some degree. 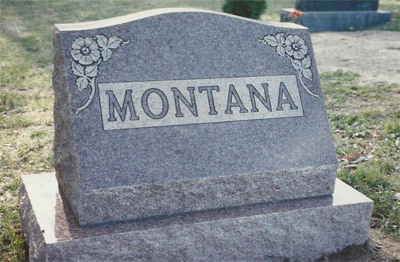 Monuments are meant to endure for generations and we’ll create a memorial in the material of your choice, but we believe that nothing compares to the durability of granite. Not only is it some of the oldest rock on earth, some of the best is quarried right here in northern Vermont. So, we can attest to the superior quality of the stone — unlike some varieties, Barre granite won’t lose its color over time — and our manufacturers fully guarantee their products. There are many sources of granite, both domestic and imported. We only work with manufacturers and suppliers who provide the best quality granite and back it up with written warranties. 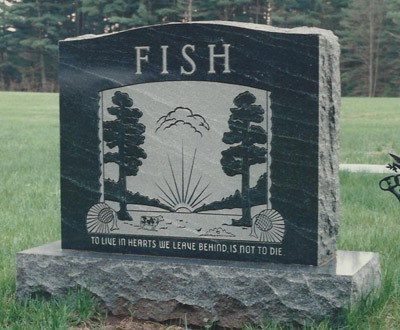 Please contact us to discuss the many options available for beautiful cremation memorials. 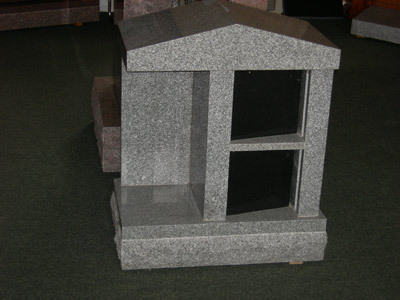 Upright monuments are grave markers that are placed in a perpendicular position above the ground. Since they come in a variety of shapes, styles, and sizes, they provide the best opportunity to create unique and personalized designs for one person or several. Cremation memorials are becoming increasingly popular as more families are turning to cremation instead of traditional burial. 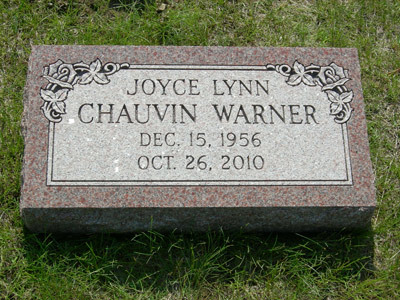 Our markers can be made in a wide variety of sizes to accommodate one name or several names, dates. Flat markers are stones that are installed so that their surface is flush with the ground. 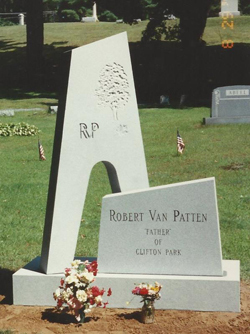 Many cemeteries today only allow flat markers due to concerns about grounds maintenance. Bevel markers set above the ground and slope gently from back to front. Slant markers have a triangular or wedge shape. They can be set on a base or placed directly on a concrete foundation. Similar to an upright monument, they provide plenty of space for a customized design. Available in any size and inscribed with personal or family information (names, dates, and epitaphs), bronze plaques can be mounted on a new memorial or an existing monument — from a rough boulder to a slant marker. If desired, they also can be set in concrete, flush with the ground. 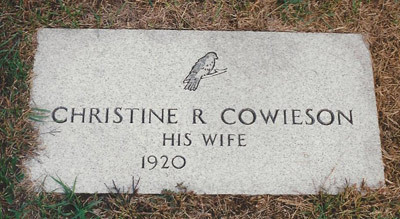 Corner posts are typically square stones (6- x 6-inches) that mark the corners of the cemetery lot. 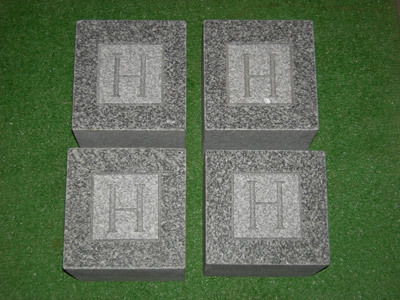 They often match the color of the monument and are inscribed with an initial, such as “H” for “Henderson”.